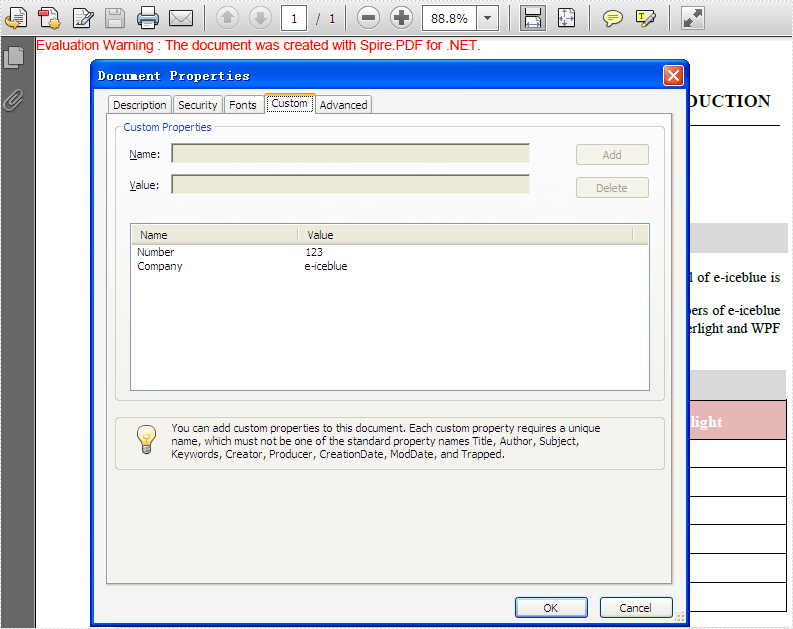 With the help of Spire.PDF, we can easily set the custom properties for PDF files. Sometimes, we may need to get the custom properties and update some information on it. This article will show you how to get and remove the value of custom properties area for PDF file in C#. 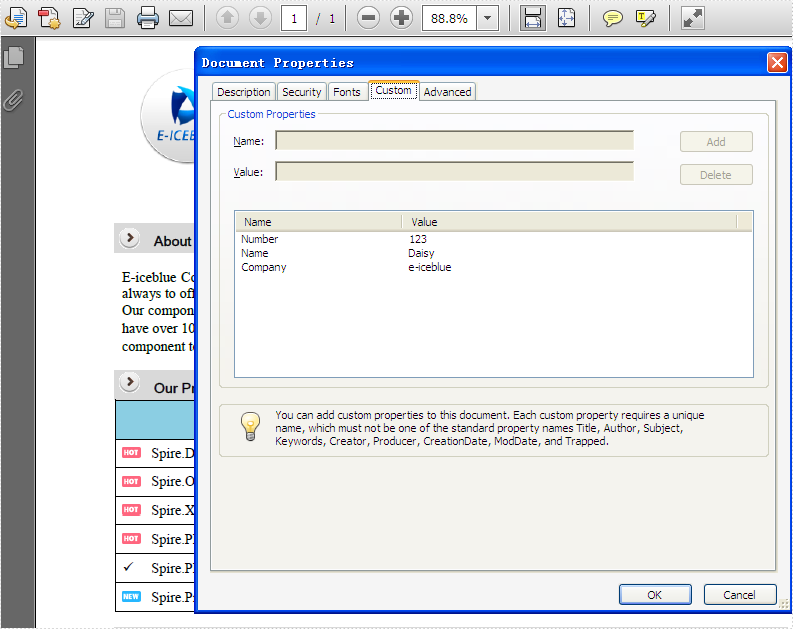 Spire.PDF provides a DocumentInformation class and we can set PDF custom properties through setting properties of DocumentInformation.SetCustomerDefined. We can also get the custom properties via DocumentInformation.GetCustomerDefined and remove the custom properties via DocumentInformation.RemoveCustomerDefined. Step 1: Create a new PDF document and load from the file. Step 2: Get the value at the custom properties area of PDF file. Step 3: Remove the value for Name from the custom property area of PDF file. Step 4: Save the document to file and launch to preview it.